It is our pleasure to invite you to the VI International Staff Week to be held at the University of Extremadura (Cáceres, Spain) from 12 to 16 June 2017. 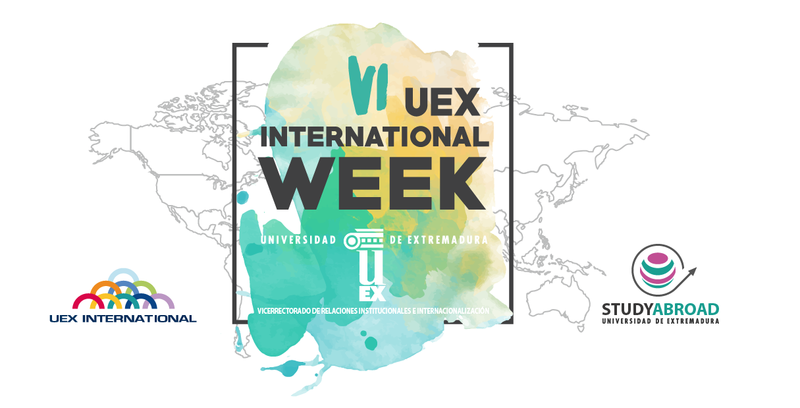 Like in former editions, the VI International Staff Week at UEx intends to create a forum for the analysis and reflection of the main aspects involving internationalization of universities. This edition’s main focus will be on the institutional strategies for the attraction of international talent. Through the lectures, workshops and networking activities, the participants will get a broad view on the marketing and promotion strategies developed by universities to attract international students, lecturers and researchers. Take the chance to immerse yourself in one of the Spanish loveliest cities and share your experiences and best practices with us at UEx, in a friendly environment where all of us will enhance our international connections, by learning from each other and promoting our own institutions. At this regard, we kindly invite you to present your universities and a “successful experience” carried out at your institutions related to internationalization. Please note that presentations should not take longer than 15 minutes. Furthermore, the UEx VI International Staff Week will close with the celebration of 30th anniversary of the ERASMUS Programme. This event will count on the participation of high public figures, students and colleagues involved in ERASMUS along these 30 years. A cultural and social programme has also been organized, which includes several activities that will allow you to discover the outstanding historical, cultural and natural heritage of Cáceres and the region of Extremadura. We will very much appreciate if you could forward this invitation to all interested people/units at your institution that might benefit from this International Staff Week at the University of Extremadura.